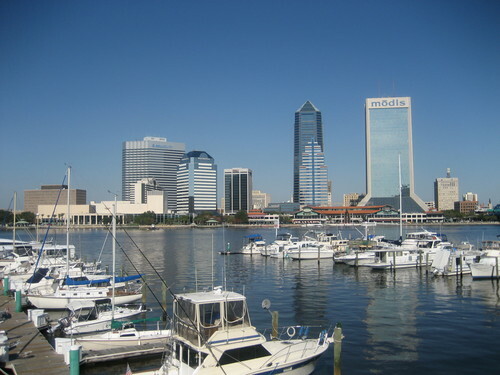 The city of Jacksonville, Florida is the largest city in the continental United States in terms of land area. In the last 30 years since the 1970s, it has had unprecedented growth and economic development. It is home to many features that describe a rich colonial history and highlight national pride. The ideal river locations have made excellent military and civilian port facilities that allow access to many civilian deep water ports making it the home of two of U.S. Navy ports. The city is the seat of Duval County, where it was consolidated in 1968. This consolidation gave Jacksonville its vast territory and it made a majority of urban population reside within City Limits. As a result, the city became the 13th most populated city in the United States and at its heart in Jacksonville; the Greater Jacksonville Metropolitan area has a recorded population of 1,313,228 inhabitants. In the pre-colonial era, archaeologists have found evidence of human homes since 6, 000 years hence. Pottery dating back to 2500 BC has been unearthed. A coastal sub-group of the Timuca Indians, the Mocama has originally inhabited the region at the beginning of the 16th century. During the beginnings of European exploration, these first peoples were consolidated into a large chiefdom, the Saturiwa, located along the banks of the St.John’s at the nexus of Fort Georgia. 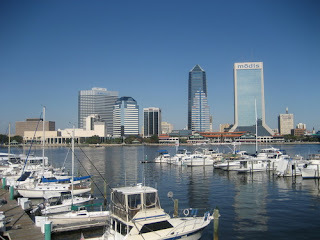 Researches on the earliest maps have named the Jacksonville area as Ossachite, now the center of downtown Jacksonville. During the colonial period of 1513, it was the Spanish monarchy that laid claim to Florida, naming the land Spanish Florida. In this period, many Europeans came as missionaries and adventurer explorers. The French came soon in 1562, led by Jean Ribault together with 150 settlers who were looking for a haven and sanctuary for the French Huguenots. Initially, Ribault looked for possible settlements near the St. John’s River but, he moved north and set up the settlement of Charlesfort, Parris Island, South Carolina. He then sailed back to France for additional supplies and provisions. In his absence, tension escalated due to French religious wars. Lacking provisions and leadership the colonists left Charlesfort. By 1564 René Goulaine de Laudonnière, a former lieutenant of Ribault led an expedition to the St. John’s river and established Fort Caroline, on top of St. John’s bluff in June 22, 1564. He further strengthened the community by making alliances with the Satuwira but the colony suffered through many mutinies, famine and poverty. It was also during this time that the Spanish and French rivalry became apparent with the establishment of the Spanish colony of St. Augustine, just 36 miles from the south of Charlesfort, by Admiral Pedro Menendez de Aviles. This conflict escalated with the Spanish winning and occupying Fort Caroline and claiming victory over the French and they renamed it Fort Mateo. At this period, many Spanish Forts were constructed, Fort San Nicolas was built to protect the flank of St. Augustine and “San Nicolas” or Saint Nicolas served as the Spanish name for the Jacksonville area. This place name still serves as the name of the current San Nicolas area today. The actual Fort is located at the east side of St. John’s now Bishop Kennedy High School. During the European conflicts between Spain and the United Kingdom, Spain ceded the territory to Britain, but gave back the authority to Spain again in 1783. In 1821, the Florida territory was sold to the United States. 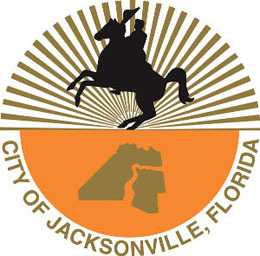 Jacksonville became the commonly used name for the City in 1822. Jacksonville was taken from Andrew Jackson, a military governor the Florida territory and later President of the United States. The City enjoys a rich History from the Civil War to the turn of the Century. It has endured the Great Fire of 1901, the fire destroyed most the urban areas of Jacksonville but due to cooperation and quick response only 7 deaths were reported. During the 20th century, a substantial part of the City of Jacksonville’s growth came from the establishment of Naval Air Facilities. Now, it has three principal military ports. It hosts many types of naval craft, particularly the Aircraft Carrier USS John F. Kennedy, until 2007. It also has a bustling international airport.